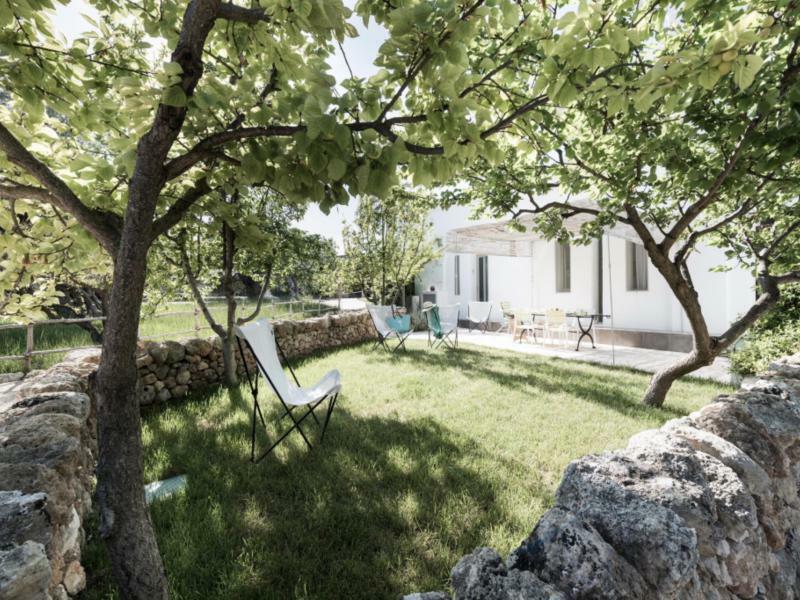 This beautiful design Masseria is centrally located in Puglia, not far from the town of Fasano and only a few minutes by car from the Adriatic Sea. The nearest beach is at 5 km and the seaside resort of Monopoli is a half hour drive. The house is owned by a Swiss family and I was welcomed by the owner. 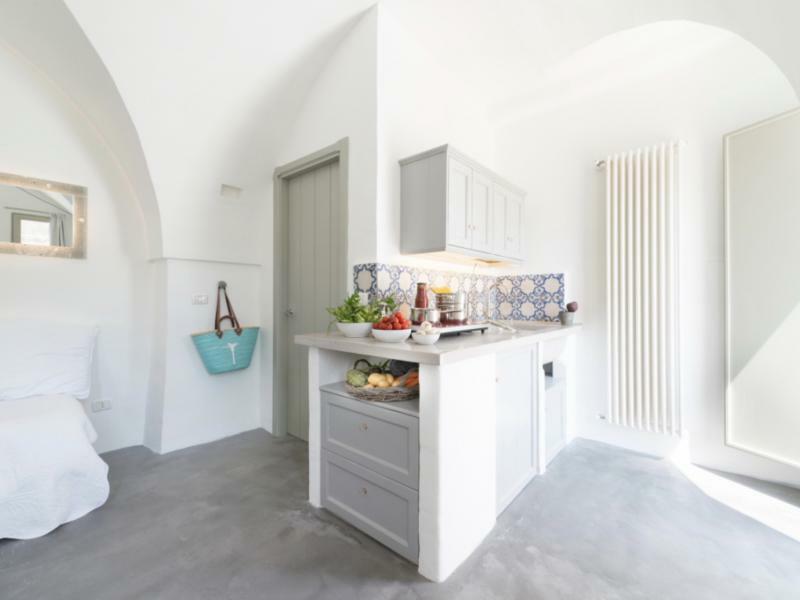 The family has converted the old mansion into a charming and stylish small holiday resort. The agriturismo is situated in a quite environment and is surrounded by palm trees and olive trees. There are 10 rooms, all different in size and location and all tastefully decorated with design furniture. Some rooms have a private terrace, others have direct access to the garden. The rooms are equipped with air conditioning, Wifi, flat screen TV, hairdryer, safe and a small kitchenette. Breakfast is not served at the agriturismo, however upon arrival you will find a welcome basket in your room, with a few breakfast items for the first morning: coffee, tea, milk, biscuits, jam and sugar. Not far from the agriturismo (only a few minutes by car) are two farmhouses and a small shop where you can buy fresh fruit, vegetables, delicious tomatoes (I have tried them myself! ), cheese, marmalade, honey, olive oil, fresh bread and mozzarella. They should also be open on Sunday morning! 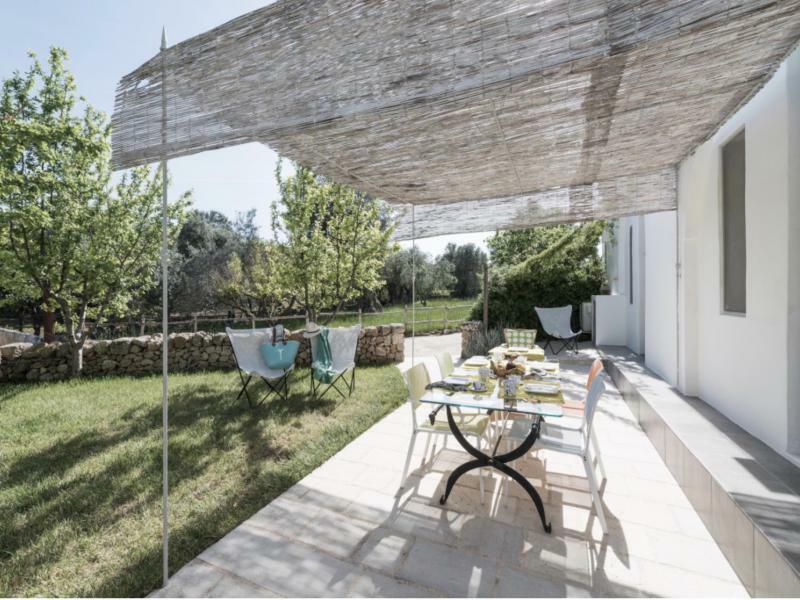 This is a quiet and stylish agriturismo with luxury rooms with kitchenettes. Unfortunately there's no swimming pool, but the beach is very close. A great place to relax for a few days! The room consists of an open kitchen and a double bed, a bathroom with shower and hair-dryer. The room has a private terrace and is equipped with air conditioning and heating, flat-screen tv, safe and wifi. 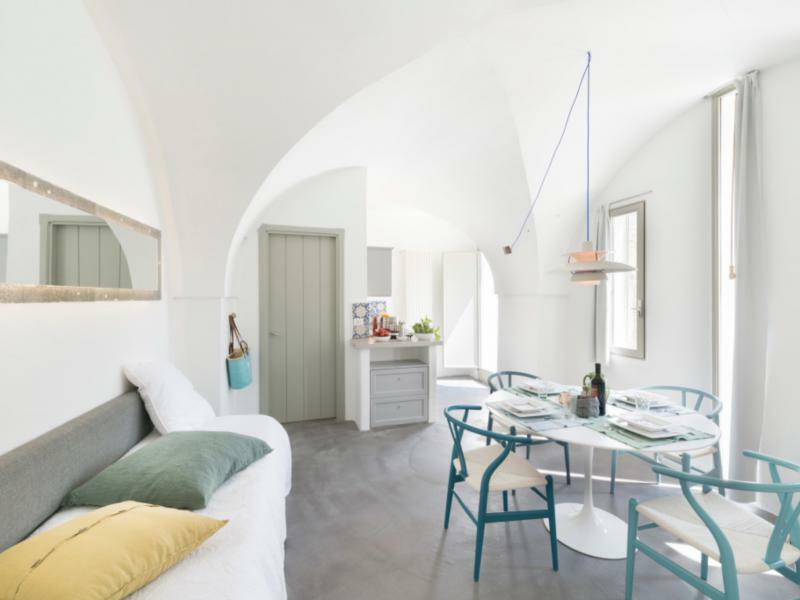 The room consists of a living room with open kitchen, room with double bed and tub with colour therapy, two bathrooms. The apartment has a private terrace and garden and is equipped with air conditioning and heating, flat-screen tv, safe and wifi. 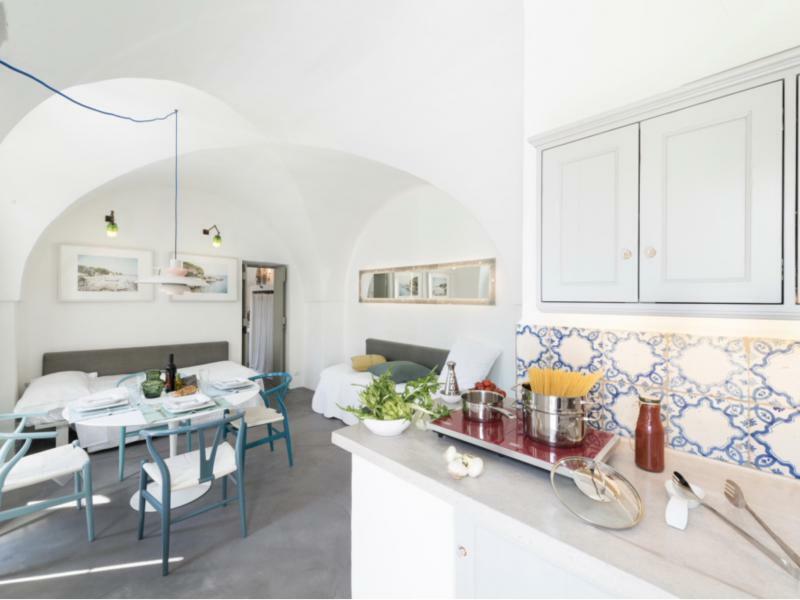 The apartment consists of a living room with open kitchen, bedroom with double bed and a bathroom with shower and is equipped with air conditioning, heating, flat-screen tv, safe, hair-dryer and wifi. On request an extra bed could be added. The apartment has a terrace with two sunbeds and a second terrace with private jacuzzi. The room consists of a living room with open kitchen, double bed and bathroom with bath, hydromassage shower and hair-dryer. The apartment has two private terraces with double sunbed and table and is equipped with air conditioning and heating, flat-screen tv, safe and wifi. The apartment consists of a living room with open kitchen and two single beds, a room with double bed, bathtub. A bathroom with shower and a small toilet. The apartment has a private terrace and a small garden and is equipped with air conditioning and heating, flat-screen tv, safe and wifi. Each room has an independent entrance from the terrace. 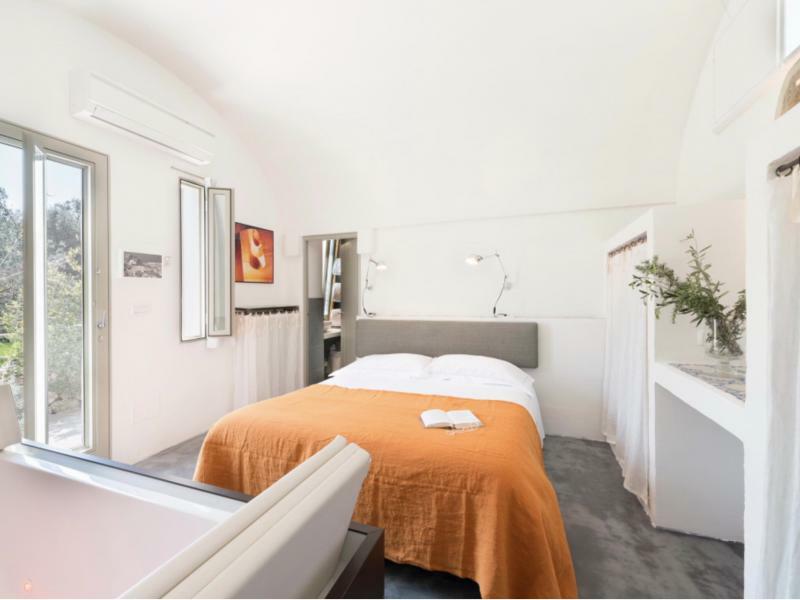 Prices are per night, per room per 2 persons (only the Bilocale Family rate is valid for up to 4 persons), and include daily room cleaning (not on sundays), change of towels and bedlinen at the forth day.